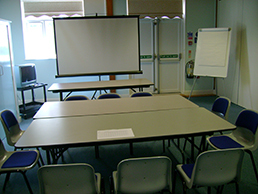 At St Augustine's Centre we offer excellent air conditioned conference and meeting facilities at extremely competitive rates. So who ever your audience is, whether it be your employees, partners or local businesses with whom you wish to network, we have the right environment to meet your business requirements. 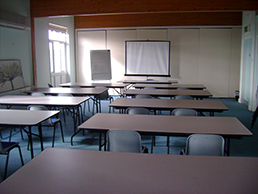 On the day of your event, conference or meeting you room will be set up exactly how you need it, refreshments will be available and we can provide catering if you require. 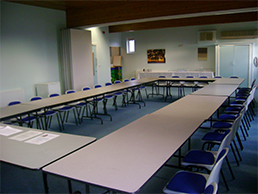 The rooms are situated on the first floor of the centre and have been designed to offer great flexibility. This is made possible by opening and closing the movable dividing walls that separate the rooms. A lift is available. Bookings are handled by Zeena, who is on hand to answer any queries and match your requirements within budget. Please contact her Monday to Friday 9.00am to 5.00pm on 01553 692797 or email: zeena@mrbeesfscentre.co.uk. There is also ample free parking on site. Please see our Kings Lynn conference website for more information. Website designed and built for Mr Bee's Family Centre by Elephant Kiosks.